A brand new trailer has arrived for Marvel Studio's Black Panther and all we can say is long live the King. This trailer is one of the cooler trailers ever released for a Marvel Studio's film and we can't wait to see this! It doesn't arrive until February 2018 but time to get excited now fr what looks to be a unique and incredible vision of the popular long time Marvel super hero. 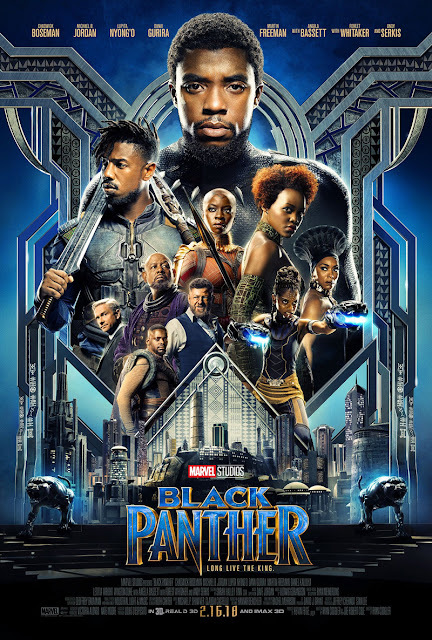 The film stars Chadwick Boseman as the Black Panther and he is surrounded by an amazing cast of actors to bring the characters of Wakanda to life in this film. Black Panther is in theaters in February 2018. Also there is a very cool new poster for the film as you can see to the left!